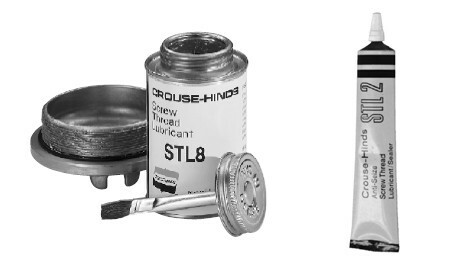 STL Series thread lubricant is used between any screw thread and its tapped opening, on any rotating shaft – threaded or plain, and to inhibit corrosion on any metal-to-metal joint of apparatus and control enclosures. HTL Series high temperature lubricant is used on lighting fixture threaded joints and on threaded joints of the enclosures of any heat producing apparatus or control. Download the STL & HTL Series Thread Lubricants spec sheet below or call 714.835.6211 for more information.